Are they welcoming you home? Do you have to be wary and cautious in your own house? Is coming back home becoming a nightmare? Wasps are bee like creatures that are a lot more dangerous because they can sting multiple times. Wasp control Melbourne is important because out of all the insects, they are by far the most dangerous and pose a serious threat to your children and pets. With wasp removal Melbourne wasps tend to encroach upon household spaces and build nests in cracks in the wall and small ceilings spaces. They also affect food hygiene severely. If accidently ingested, wasps can be fatal; they will sting the person multiple times causing internal swelling that leads to asphyxiation. As per Melbourne's records, March/April 2015 posed to be the worst wasp season. With food sources being easily available and just the right breeding conditions, wasps seemed to be all over the place. Finding and getting rid of the nest was the only way to control the situation. These creatures are evil and one of the biggest problems that residents of Melbourne face. 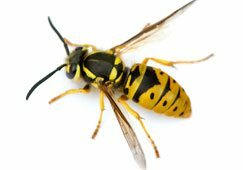 Wasps can indeed be a nuisance that aren't just troublesome to have around but can cause serious damage to your property. Being an irritation they might even cause any cute and friendly animals around your home to flee from the area. 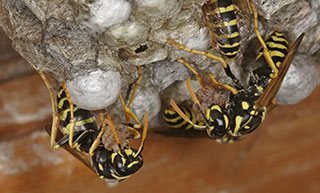 If wasps have made their nest somewhere in the house walls or in the roof voids, you are most likely to encounter one of their wasps on their way back to their nests. Holes and gaps in the structure or near doors and windows too are entry points for stray or lost wasps. As a result these wasps loiter around in the outdoor living area making any outdoor task unsafe for you, your family and your pets. 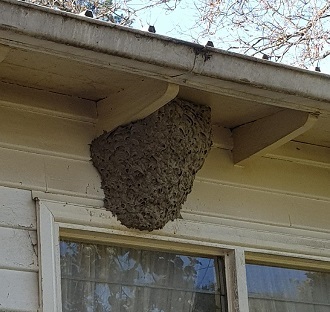 Gardens, trees, outer walls, retaining walls, stored wood, and the surrounding areas of your property are all likely places to host wasps and entire nests. This makes your own outdoor living areas increasingly hazardous for you because of the high risk of running into a wasp or the entire nest. It is even more unsafe for children and pets as they can be severely stung by interfering with nests out of curiosity and cluelessness of the hazards. Keep a look out for where wasps fly to as they just might lead you to their nest, which is gray in colour and resembles paper mache. If you spot this happening it's time to call a professional service to look into the matter. This particular behaviour is observed when the nest is growing and the wasps are trying to eat through the plaster to increase space for the nest to grow. this is an absolute no-no as you not only endanger yourself but also everyone around you. It is important to be able to identify the species of wasp so that you can tackle them in the best way possible. This expertise will only be known to a professional, which is why it is only them who should try to destroy the nest. 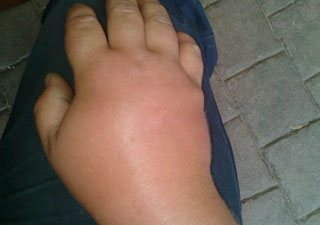 How to avoid getting stung by a wasp? In spite of taking precautions it is possible that you suddenly find yourself somewhere close to a wasp or a wasp nest. Though your first reaction is to shout for help or run for your life, below are a few things that you could do that will help keep you safe from wasp stings. Stay Calm: If you spot a wasp nest do not panic, but walk away calmly, as slowly as you can to avoid getting their attention. Avoid screaming and swatting: Though your first reaction is to shake them off your body, avoid moving your arms or trying to swat them as this will only aggravate them and cause greater damage. Avoid sweet, strong fragrances and bright colours: Fruity smelling fragrances in hair products and perfumes attract wasps to you, so avoid them. 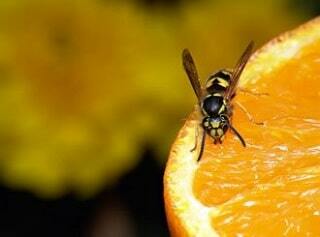 Bright coloured clothing might make wasps think you to be a flower or fruit causing them to be drawn to you. Keep food and drinks covered at all times: Leaving drinks and food open is like giving bait to wasps. Avoid this to keep wasps at bay. Avoid orchards: Orchards are full of fruit, greenery, and open bins which make them a paradise to wasps. Stay clean: Ensure yours and your child's hands and face are clean after eating and drinking sweet foods to avoid wasps following and settling on you. Put an ice pack or cold compress onto the affected area. Take a painkiller like a paracetamol or ibuprofen to ease the pain. Anithistamine tablets can help reduce any small swelling around the affected area. Swells up in the face or mouth. Why wasps are the worst? Wasps can have fatal effects on health and cause irreversible damage to property so it is best to be alert and avoid them. 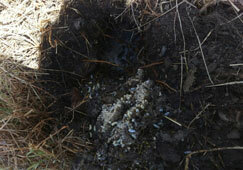 Their nests are hard to locate but if you happen to site one, get a professional to look into the matter immediately. Do not try to take matters into your own hands as it could lead to terrible consequences for you and your loved ones. Our trained team will be able to effectively work toward removal and extermination of these deadly creatures. Being acquainted with the nature and behaviour of these insects makes us experts on the matter. To add to it, our 26 years of experience in dealing with them and other domestic pests make us precise with our solutions. With the latest technology in place, we eradicate the problem without compromising on your and your family's health. I had wasps flying around in the back yard I called a company which told me it was a season for them and not to worry. This over the next 2 weeks wasp numbers increased tripled so I decided to call another pest control company which was protech pest control, they sent a tech out and he spent a half an hour inspecting around the house and found where the wasps were entering and exiting my home. It turned out to be a massive nest growing in the roof of my home which was the size of 1 and a half basketballs they proceeded to spray and dispose of the nest and now I am wasp free. I would recommend protech to others and have already to relations with the same problem which also have praised them.